Educational institutions play an important role in every community by providing a positive learning environment for students and teaching them to be the future leaders of our world. We rely on schools to not only transfer knowledge but ideas, attitudes, manners, and cultural values. Outside of the classroom, creating this atmosphere includes designing a physical space that stimulates a child’s learning and positive inquiry into the world around them. What better way to start this process than by showing students what exists beyond the limits of their town and furthermore, beyond the borders of their country? 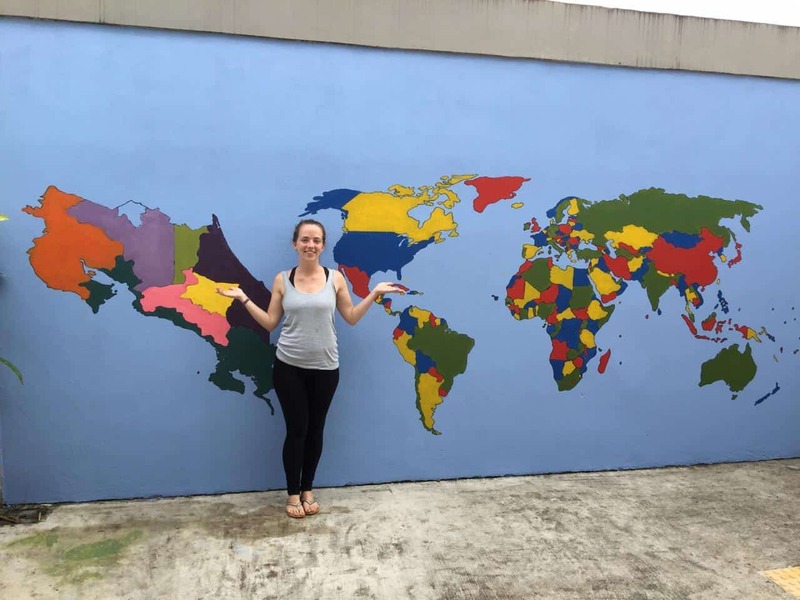 For this reason, Peace Corps Volunteers across the globe often look to incorporate a world map mural project in their community. In my case, the world mural project has had a double benefit to the local primary school where I have spent a large part of my service thus far. The first being the above mentioned educational value. The second having to do with the relatively recent construction of the institution itself. Since its construction in October 2016, both school staff and students have expressed interest in beautifying the various drab, concrete walls but have been limited by the constraints of a busy academic calendar and limited personnel. 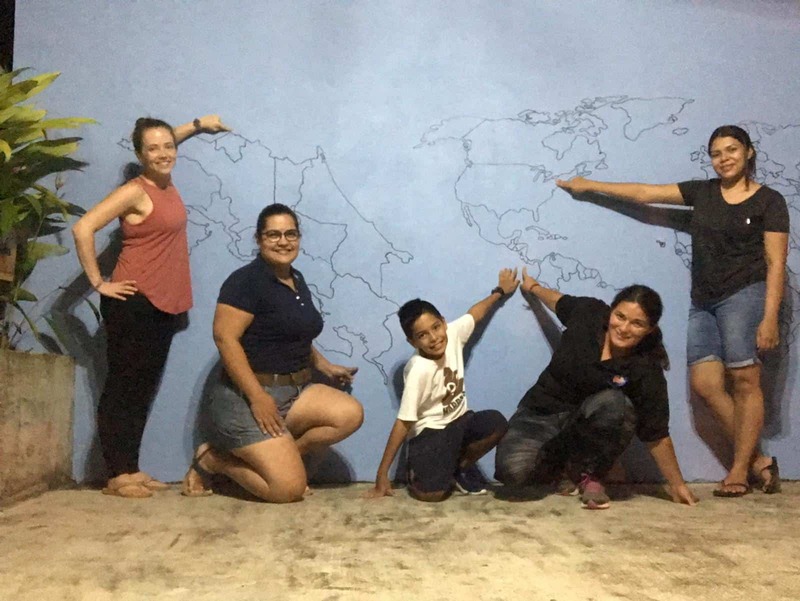 Last December, the Institutional Board of Education (Junta Educativa de la Escuela) was able to approve funds that were left over from the school year toward this mural project and purchase all of the needed materials. Our dream was to finish it in time for the students to return to school in February of this year. Via Paige G. / Peace Corps Volunteer. 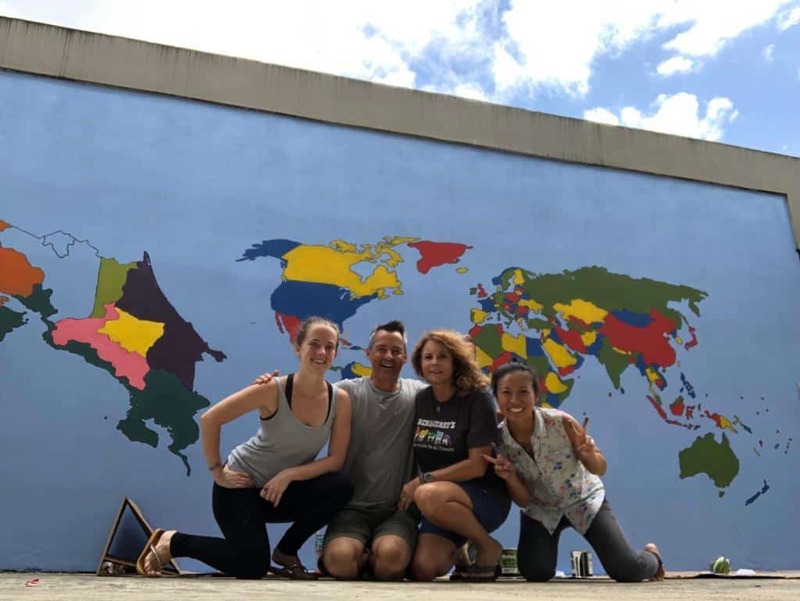 This project has also opened the door to more discussions between the Junta, Director and teachers on ideas of how to paint more murals both inside and outside of the school for the community to enjoy. In the coming year, we will be looking to involve students, members of the local community and volunteers to participate in this effort to beautify our school.